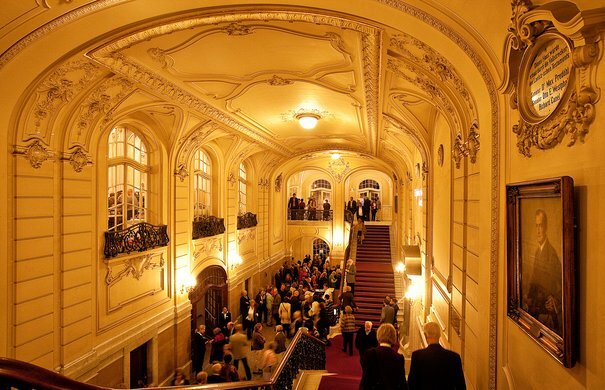 As the largest and most modern concert hall of its time in Germany, the Laeiszhalle was officially opened on 4 June 1908. 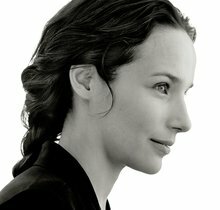 Since then, many renowned national and international artists have performed on its stages. 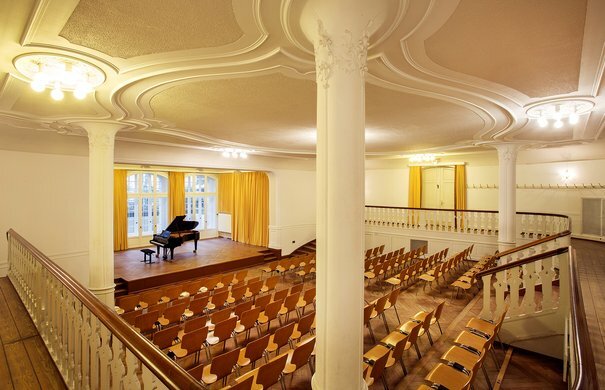 From the beginning, great composers and conductors such as Richard Strauss, Sergei Prokofiev, Igor Stravinsky and Paul Hindemith performed and directed their own works in the Laeiszhalle, and the concert hall still plays host to stars of the international music scene today. 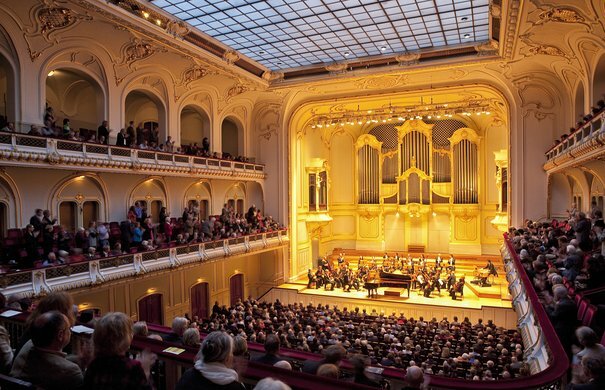 After all, the Laeiszhalle Grand Hall ranks as one of the best concert halls in Europe. The resident orchestra of the Laeiszhalle is the Symphoniker Hamburg; many other Hamburg orchestras, choirs and promoters regularly present concerts here. Both halls – the Elbphilharmonie and the Laeiszhalle – are managed by the same company. The well-known Hamburg shipping company owner Carl Heinrich Laeisz gave the Laeiszhalle its name. 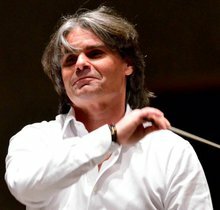 He had decreed that the company F. Laeisz should donate the amount of 1.2 million German marks so that the construction of »a worthy place for the practice and the enjoyment of fine and serious music« would be possible. The Laeiszhalle was built by architects Martin Haller and Emil Meerwein, who had already made a name for themselves with the construction of the Hamburg City Hall. 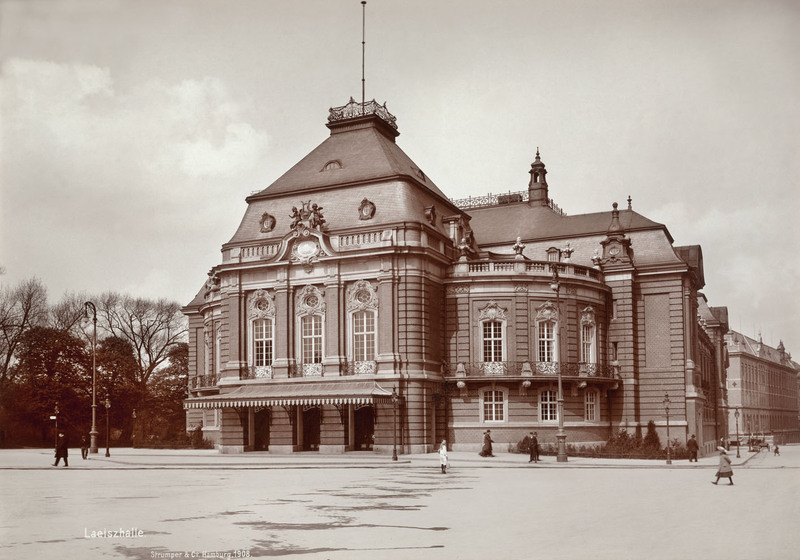 From the outset, the Laeiszhalle was writing music history: the 12-year-old violin prodigy Yehudi Menuhin gave a celebrated guest performance here in 1930, and Maria Callas’s concerts were equally acclaimed. After the Second World War, which the Laeiszhalle survived unscathed, the hall experienced an unusual intermezzo: the British occupying forces used the rooms as a temporary broadcasting centre for their military radio station BFN (British Forces Network). Chris Howland started his career as a radio presenter here. The Laeiszhalle is available for hire. 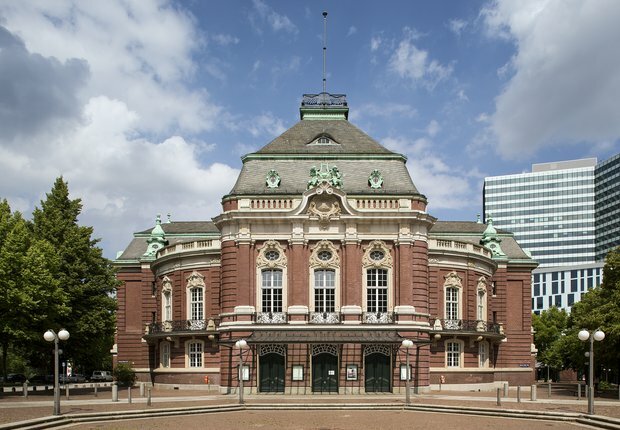 Hamburg’s traditional concert venue is an exceptional building, offering halls and spaces suitable for concerts, gala events, receptions, conferences and meetings, or as a photo, film or video location. Big symphony concerts feel completely at home here: the Grand Hall of the Laeiszhalle, with its neo-baroque design and a unique glass ceiling, accommodates over 2,000 people. 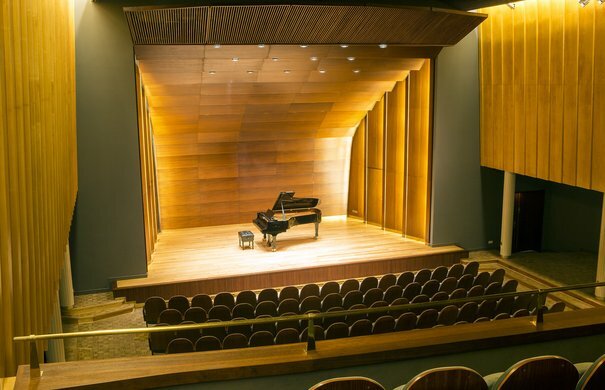 On the rear wall of the stage is an organ that was built in 1951 by the company Beckerath. 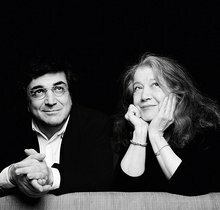 Chamber music series, lieder recitals, children’s concerts and jazz events seem to be made for the Recital Hall of the Laeiszhalle. Refurbished after the Second World War, the hall is one of only a few authentically preserved concert halls in the 1950s style and can accommodate 640 guests. Studio E has a charming small stage with direct daylight. The gradually ascending audience area with an encircling balustrade offers seating for 150 people. The Brahms Foyer owes its name to the marble sculpture of Johannes Brahms, created for the Laeiszhalle in 1909 by Leipzig artist Max Klinger. Chamber music concerts and receptions as well as film and photo shoots are accommodated in the festive foyer on the first floor. 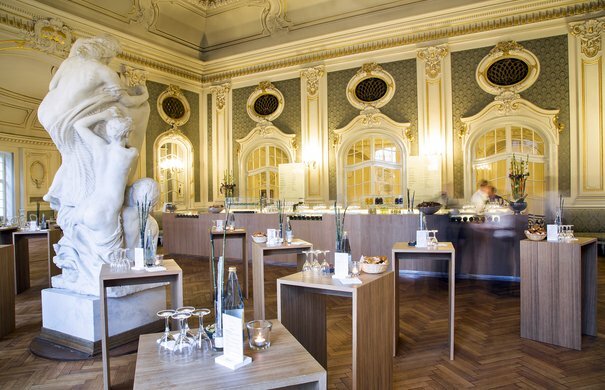 Furthermore, the Brahms Foyer is the gastronomic centre of the Laeiszhalle. 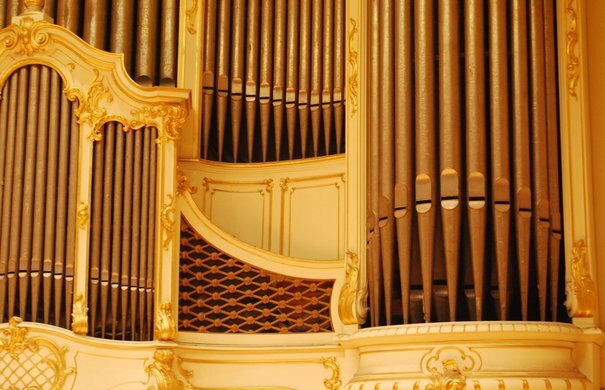 Since the 1950s, a powerful organ with 59 registers, founded on the principles of baroque organs with 4 manuals and pedals, can be heard in the Grand Hall of the Laeiszhalle. The organ was the first commission of the now renowned organ builder Rudolf von Beckerath, who had founded his organ workshop in Hamburg in 1949.